For many MMA fans, McGregor’s return to the UFC is the only scenario worth seeing. “Conor is not angry, he understands,” White said of the imminent decision to remove McGregor of his 155-pound title. “Listen, Conor made a lot of money and he wants some time off but the division has to go on and the business has to go on. I would like to see him fight the winner of Khabib (Nurmagomedov) and (interim-lightweight champion Tony) Ferguson. It appears likely that White will wait until Nurmagomedov and Ferguson step inside the Octagon before making the move to strip the UFC’s biggest star. While Ferguson arguably deserves the title outright, and Nurmagomedov is more than worthy of a title shot, this will be the fourth time that a fight has been planned between the two. “The Eagle” suffered from complications of a strenuous weight cut last year, which led to him pulling out of their last arranged bout. White also reiterated that there is a real chance that the Irishman may never fight again, given the immense financial wealth he has accumulated as a fighter. “I am fighting again. Period. I am the best at this. I put my name forward to step in at UFC 222 to face Frankie Edgar when Max Holloway pulled out, but I was told there wasn’t enough time to generate the money that the UFC would need. I was excited about bouncing in last minute and taking out the final featherweight, without all the rest of the stuff that comes with this game. Please respect the insane amount of work outside the fight game that I have put in. On top of the fighting. I am here. It is on them to come and get me. Because I am here. Yours sincerely, The Champ Champ™” -McGregor wrote to Instagram. “I think the McGregor vs Mayweather fight didn’t do us any favors. 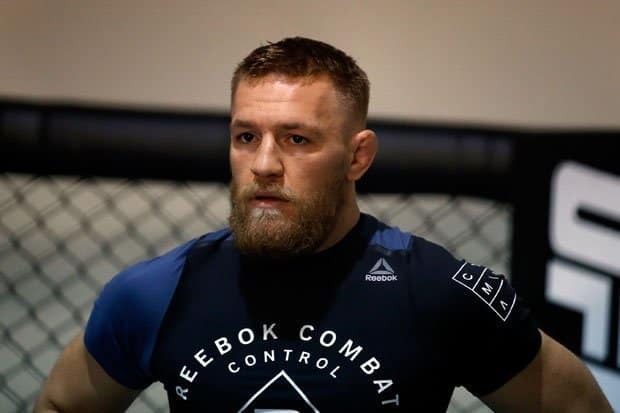 The fact they’re thinking of doing it again in the f****** Octagon as well now, it just f****** makes me furious,” he said in an interview recently. “Now it’s like ‘well, you’ve not made the weight so we’re not fighting for the title. You can do it at the catchweight.’ What the f*** are you doing it for if you’re not fighting for the title? “Stuff like that winds me up.